Olene Smith Walker (1930–2015) was born in Ogden, Utah. She received a bachelor degree from Brigham Young University, a master degree from Stanford University, and a doctorate from the University of Utah. From 1969 to 1992, Walker served as Vice President of Country Crisp Foods, a family business. Before entering politics, Walker founded the Salt Lake Education Foundation and served as its director. She also served as director of the Utah Division of Community Development. Walker was a representative in the state Legislature for eight years and served a term as majority whip. She was Utah’s first woman to serve as lieutenant governor. During her tenure, Walker spearheaded many important initiatives such as education programs and workforce development. She led the Healthcare Reform Task Force that established the Children’s Health Insurance Program, ensuring affordable healthcare for Utah’s children. Walker also convened the Utah Homeless Coordinating Committee, which aimed to end chronic homelessness by developing affordable housing, providing supportive services, and tracking program outcomes. When Governor Leavitt resigned to serve as Administrator of the Environmental Protection Agency, Walker became Utah’s first female governor. As governor, she continued her commitment to affordable housing, education funding, and literacy programs. William “Bill” Ferrin Whitaker, Jr. (1943–), son of painter William Whitaker, Sr., grew up surrounded by art. He earned his degree from the University of Utah and later taught at Brigham Young University. Whitaker studied under the renowned Utah artist Alvin Gittins and is known for his beautiful portraits of Latter-day Saints church officials and other prominent people. 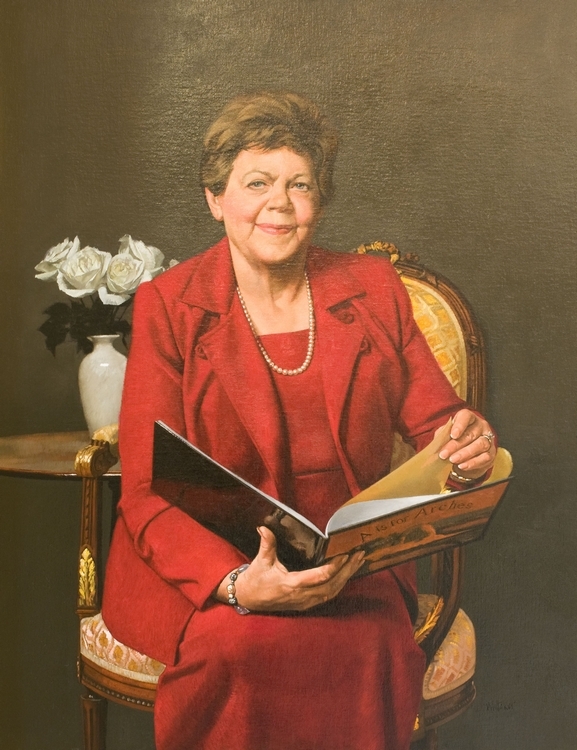 He also painted Governor Leavitt’s portrait.